The best thing happening to audiophiles on a budget is the rise of Chinese high-end audio manufacturing. Even for those who aren’t on a budget, there are products like the Opera Consonance Droplet LP5.0MKII Turntable and Stand for an MSRP of $5,700, or the Jolida Musical Envoy products. I know it’s hurting some Western manufacturers who would charge at least three times the price for a similar product, but that’s not my problem. And it’s definitely not the problem of the guy on the street who wants good sound at a reasonable price. The offerings from Grant Fidelity of Canada, importer for Shengya, are geared to the budget minded audiophile. Their motto is: “Hi-End, Not High Priced”. Good! Products that sound good can be dirt cheap, especially digital, cables and hybrid amps. What’s more problematic, much more actually, are good sounding budget speakers. I’ve heard speakers costing well north of $10K that sounded flawed, so how do you build a competent speaker for under $2K? What choices do you have and what are your limitations on build quality? To find a budget speaker that doesn’t do something horribly wrong is somewhat rare. 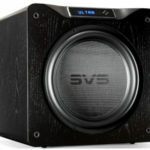 The V-218 struck me as a much heavier and better built speaker than I was anticipating. From the screwed on back panel (done just like a professional studio product), to the “salad-bowl” horn, to the quality of the binding posts, the whole product seemed professional grade, like a prettier Urei or Altec studio monitor. The inputs are jumpered high- and low-frequency binding posts, which allow for bi-wiring, which I did with the Furutech Reference speaker cables. As usual, I preferred bi-wiring and used this connection method throughout the review. I was thinking that they’d be more efficient, with less bass extension and 8 ohms. Their design seems more main stream as opposed to the high-efficiency, high-impedance designs that are coming into vogue for tube-amp usage. 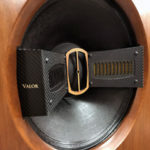 The choice to go for a bass reflex loading, using a traditional crossover design, makes these speakers more attractive to a wider range of listeners, though I tend to disagree with the assertion that they are a good choice for 20 transistor watts or 10 tube watts. In my experience, they come to life with no less than 20 tube watts. One thing the Shengya isn’t is shielded. The manual recommends against placing these near a monitor or putting magnetic materials on top of the cabinets, audio tapes for instance. They were packed in double boxes, with Styrofoam inserts. Unpacking and setup was easy. As stated previously, I preferred the sound of bi-wiring, using Furutech speaker cables after a brief comparison with another single-wired cable (single wire). Sent for use in this review were nicely built and very sturdy, damped and affordable stands from Skylan; highly recommended. I listened in the large room and the bedroom, using a wide range of equipment. Sources included the Soundsmith Sussurro cartridge and Peter’s new MCP2 phono stage, SME V arm, Denon DP80 in custom plinth, really affordable digital sources, Allnic L1500 or StereoKnight Passive Magnetic line stages, rebuilt Dynaco MKIV monoblocks (probably 50 watts), super-modded HeathKit W4 monoblocks (20 watts), and Sanders Sound System ESL transistor amp (at 450 watts into the 6 ohm load, much more power than recommended, but didn’t blow up the speakers, even though I tried). Most listening was done with the Allnic L1500 and Sanders ESL amp. I preferred these with moderate toe-in in the big system, which is how most of the listening was done. They were toed in about 20º, and were intersecting at least 10’ behind the listening position. When firing directly at the listening position, a presence peak was exacerbated. If placed straight ahead, the indirect room sound started to intrude. Twenty degrees of toe-in seemed optimal for the large room. The big horn on the tweeter means wide dispersion, and that they are rather easy to place to get some kind of sound-staging. Though, like other speakers, careful tweaking can maximize depth and soundstage results. In the small room, they were place forward, and sometimes with a little toe-OUT (opposite of toe-in, you see?). Another option worth considering is dramatic toe-in: crossing the speakers several feet in front of the listening position. I also got good results this way, but it robbed the outside images to help the center image. Actually, positioned this way, the center image was fantastic; almost as good as I’ve heard in my system. It’s always worth experimenting, as your room may be dramatically different from mine. The Booker T Set by Booker T. and the M.G.s (Stax/Fantasy vinyl reissue MPS-8531) had great tone coming from Steve Cropper’s guitar and Booker T Jones’ B3 was gutsy and sonorous. This made for some enjoyable power-listening. “Sing A Simple Song” had a great center image and excellent stereo spread. The drumming of the great Al Jackson Jr. well outside and behind the right speaker and was in a large resonant acoustic space. The B3 held center projecting out into a V shaped wedge in the listening room. On “Roadhouse Blues” from Morrison Hotel (original press), there was good imaging and a warm tonal balance. The Shengya’s were forgiving of the vinyl noise and I kept cranking it until I was fully immersed in the greatness of The Doors. “Waiting For The Sun” had tremendous growl from the synthesizer, and the dynamic swings were fairly stunning on this track. The only limiting factor was a slight peak in the presence region, coming from the horn loaded tweeter. That’s the only thing that kept me from the kind of head banging I could do with the Sanders 10B. I noticed on rock vinyl that these have the sound of a really good PA or studio monitor system (like Altec VOTT systems with tube amps, or their studio cousins). They gave many classic tracks a live quality that I didn’t know was there. The Byrds (Untitled), original pressing, was a toe tapper. “Chestnut Mare” moved along with great forward momentum. The live cuts on the album did sound “live” in an organic way. Many live tracks sound dead in a lot of systems. I’ve found that the better a system gets, the more you can get from a live recording. On “So You Want To Be a Rock ‘N’ Roll Star” and “Mr. Tambourine Man” had totally different meanings when compared to the original studio tracks. The presence of the Shengya’s made the most of live recordings. I like to think of the Shengya speakers as similar to a classic studio monitor. They had the ability to resolve lots of detail and had good presence. On the other hand, the cabinets didn’t “talk” like the classic products from JBL, Altec Lansing, Urei, etc.. These are similar to those classic products: not as loud, efficient and dramatic, but more refined, prettier and easier to system-match. As I was saying earlier, I was expecting a higher efficiency speaker, something like the 95db/watt plus from the aforementioned classic studio monitors. On the other hand, those same speakers can sound like dogs when used with transistor gear; I mean really bad—the worst thing I’ve ever heard was Klipsch Heresy driven by ‘70s Crown amps—YIKES!! The transistor amps I tried were a good match, though I’d watch out for bright sounding stuff, or other associated gear, including MC cartridges, excessively detailed digital or brightly voiced cables. Many high-efficiency speakers are poor partners for transistor gear. The Shengya is not. The horn presence from the tweeter was complimentary to classic recordings, especially early Capitol jazz, Blue Note and the other jazz recordings I like to play. Those recordings were monitored, mixed and mastered with horns (usually). The artistic choices were made while using horn loaded tweeters. 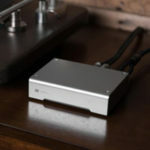 The Shengya’s are kind of like the inverse-RIAA-curve in a phono stage: they allow some records to be translated back to what was supposed to be heard, the way the engineers and musicians heard the sound. Though not on the same level as the Classic Audio Reproductions horn systems (what is? ), the horn loaded soft dome tweeter is a good performer, especially considering the outlay. If you are a record-collector of original pressings, you should be able to appreciate the authenticity of the sound: the gestalt sound of classic vinyl and horn loaded tweeter (preferably with tube amplification). The frequency response was quite good, though the low bass was restricted in the big room (17’ wide, 23’ long, 10’ high). It took very close placement to the walls to get room gain for the bass. If you can get them close to a corner, which I did, the extra few decibels of low bass help fill out the sound. In the small room, bass was rich, fast, detailed and extended. These are a great choice for medium to small sized rooms, and might be the ticket for dorms and apartments. Because of their relatively compact dimensions, they can be used in bookshelves, as well as on stands. Regardless, they can give good results in big rooms as long as boundary reinforcement is employed. The midrange of the bass driver was very pleasing, and perhaps a little warm. They reminded me of the classics, like the JBL D123, which have good midrange. There’s something authentic about paper cones. Even when they are distorting, driven too hard, or too far outside their range, paper drivers just aren’t as capable of ripping your face off the way plastic and metal cones can. It’s analogous to the vacuum tube, which can be more forgiving than transistors. Paper is a good choice for a speaker, whether it is a budget design or a cost-no-object one. I did notice a slight cupped-hand sound, but it depended on recording. I couldn’t definitively sort out whether it was something else in the system, a combination of factors, or the speaker. Regardless, on a small number of recordings, the cupped-hand sound was occasionally heard. This caused a veiling of male vocals on said recordings. If it was the Shengya, it was possibly a box resonance, a cone resonance, or a dip in the response. The crossover region was tonally good, with nothing seeming to pop out of texture or disappear. Nitpicking as I am supposed to, I could hear a minor issue where the response of the tweeter was faster, and its dispersion greater, than the woofer. As a tone ascended from high bass to low treble, there is a little discontinuity between the two drivers. It was only audible when the music was sparse, or on solo recordings. In an absolute sense, it was not bad, and I’ve heard the same affect with virtually every other hybrid system using horn tweeter and dynamic midbass, even those costing much more. Depending on what speakers you listen to now, you might not be able to hear this at all. The highs were a touch soft above 15K. The soft dome tweeter, though horn loaded, didn’t have the extension of a ribbon or plasma tweeter. However, the overall balance, low to high, was quite good. Perhaps the sound of the tweeter was tailored to blend well with the paper cone woofer. The fly in the ointment for some systems will be the presence of these speakers. 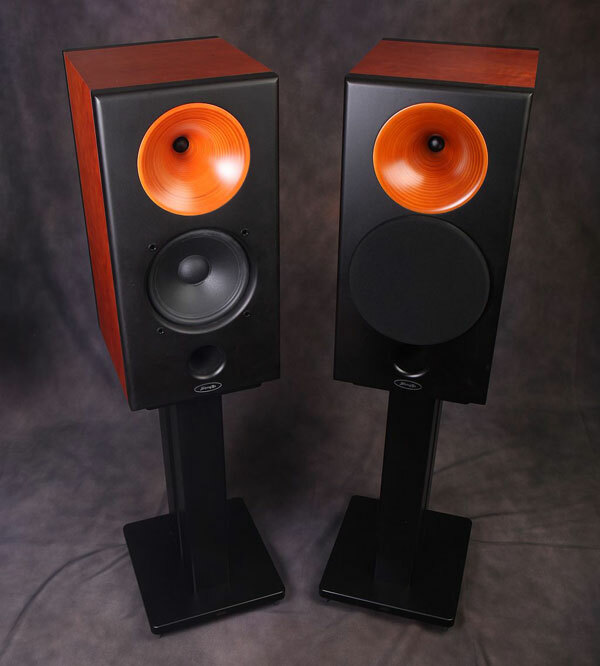 If you have a lively room or thin system, these can sound aggressive. For me, the combination of good vinyl, well-stuffed listening room and low distortion transistor amp was a good one. I was able to play classic recordings at high levels and get the impression of being in the studio, or in a club. Had I been stuck with modern (I.E., crappy) recordings, a bright CD player, IC or chip-amps, and a “live” room, these speakers could cause listener’s fatigue. Dynamically, the V-218s are quite good. They are better than my Maggies, the Sanders 10B ‘stats, the Gemme Audio Tantos, and the Jatons. Better, in fact, than anything except the full-range, horn-loaded MaxxHorns with Feastrex driver. Most small group jazz recordings I played had plenty of rhythmic drive, with splendid punch and attack from the drum kit and a room-filling sound from the upright bass (plenty of rosin on the strings too). The extra power of the Sanders ESL amp made these fantastic for recordings of good drum kits. Twenty watts stifled their ability to produce slam. I recommend a moderately powerful amp, unless you are in a small room. The ESL amp might be overkill, but their ultra high purity mids and highs made them a good match to the horn loaded tweeter. 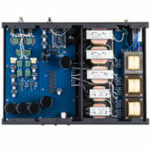 A 70-watt tube amp or 100-watt, high-quality transistor amp will make the most of the Shengya’s dynamic capabilities. I was quite happy with the imaging. Though not state-of-the-art, they did produce clearly defined images outside the speakers, and a very believable center image. The depth was somewhat limited because of the discontinuity between ported woofer and horn-loaded tweeter, something I’ve heard with the majority of similar speakers. The depth was there, but not as good as an electrostatic speaker, or a good line-array like the DALI Megaline. On the other hand, the Shengya’s are smaller, easier to drive, much less expensive, and more dynamic than ESLs. I can’t fault the soundstage depth too much. It was still good. I’m pretty sure these were voiced around digital, because they tended to forgive the brightness found on many newer CDs. I liked the results with my cheap Panasonic all-in-one, multi-format player. It didn’t do for digital what it did for classic vinyl though. Its top-end warmth complemented digital, but the horn could exacerbate the problems with some of today’s pop releases. The slight bump in presence affected compressed CDs, music which was only marginally acceptable. The Shengya V-218s aren’t for everyone. Some might find the sound too aggressive (system dependant) or might want a much more laid-back, smooth sound. It reinforced my mantra that there is no perfect speaker: it’d be nice to have a different system in every room of the house. Given the right system match, and depending on your listening preferences, the Shengya V-218 can be your answer, and in the end, I was sad to send them back. I enjoyed listening to these, especially with good classic vinyl. I miss what they can do, which means they are worthy of recommendation.